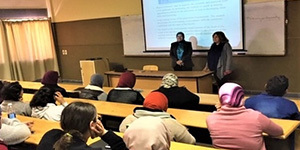 On Tuesday, 19 March, 2019, the faculty of Languages and Translation held a seminar on “Field Training” where Prof. Leyla Kamel, the faculty dean gave the students a synopsis of the importance of field work. 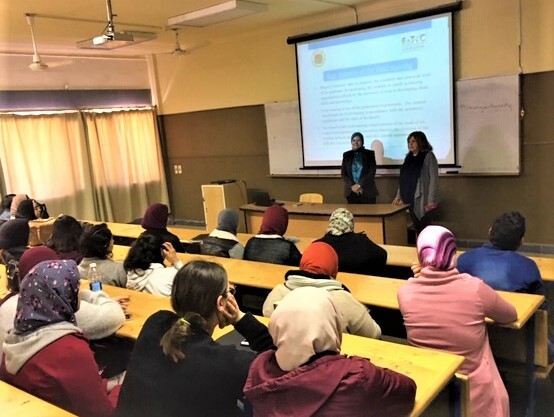 Then, Prof. Ehssan Nassef, the Director of the PUA Training Centre made a presentation of the centre’s field training programmes, different types of applications should be filled in to join these programmes and the benefits of field work in general. 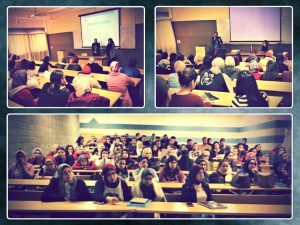 This was followed by the word of Ms. Rania Bassiouny, the Head of the Field Training Unit at the faculty of Languages and Translation where she got the students acquainted with the cooperation protocols that Pharos University has lately signed with different institutions and what is the training capacity of each institution.